Careful buying anything from Honda. My daughter leased a 2019 civic and in less than 2 weeks all electrical lights came flashing Honda diagnose it to be Rodents chewing the wires LIE! They put a clean branch on the engine to prove their diahnosis and tells her to call her insurance company to fix the wires. They staged this or are still using soy-based coatings on electrical wires in some of their models. Refer to 2012-2015 federal class action suit against Honda for using soy based coatings. Stay away from Honda! We had a lot of back and forth via email with a dozen dealerships for Honda. We knew what we wanted and what we had budgeted to pay. Ramon was with us all the way and he knew his stuff. Every question we posed was professionally answered. The one or two that he didn't have an answer in his head, he went and found out to be sure we got the right answer. On the day we went to buy, we were treated like we were the only one buying that day even though we knew that at least a dozen people were buying their cars too. The whole process was handled professionally and speedily and we drove away with our new CR-V in the colour we wanted, at the price we wanted to pay. This is the 4th Honda in our family and we expect to buy a 5th in due course, we will buy it from Valley Honda, and hope that Ramon is there to help us again. 5 stars for Ramon and 5 stars for the dealership. I recommend him and the dealership to anyone looking to buy a Honda. My experience at The Valley Honda was superior to any other dealership. Nick Poole was so helpful when selecting the car and making sure it was perfect for me. Sal Capra was so knowledgeable and personable when helping me through the end process. He left nothing out when informing me of every detail and answering any question I had. Thank you! I would like to thank JD and the Honda family. I love my new car. JD was very helpful. He is patient kind all around good guy. I am a Honda girl for the rest of my life. Everyone I worked with at Valley Honda was professional and friendly. They worked hard to help with my purchase decision as there is a lot of competition among local dealers. The vehicle (exterior) was very clean and impressive. The only reason I haven't given 5 stars is that the interior condition of the brand new vehicle was below my expectations. I had to go back and they promptly cleaned the side panels. But, they failed to clean the glove compartment and other areas. When I went back, it was different. Kurt turned me over to service for these minor clean ups which they could have handled themselves. They should pay some extra attention to the overall look of the vehicle before the final delivery. Will I buy another car from this dealer ? Yes. Cesar Salinas handled all the paperwork after the deal was made. There was a minor glitch, he fixed it with no problems. Everything went smoothly. Thank you. Victor Ramirez was my salesman. I knew which car I wanted, he had it ready for a drive when I got there. He worked to get what I felt was a fair price on my trade in. He explained all the features on my new Civic. I was dreading dealing with a new car salesman, Victor made it a pleasant experience. 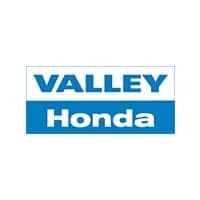 Valley Honda was very friendly and had good prices. 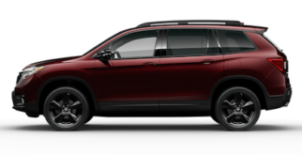 In my search for a minivan, we looked at other dealerships and it seemed the people either weren't as friendly or willing to pursue us. Some didn't seem as knowledgeable either. Valley Honda was very knowledgeable. Our sales consultant J. D. Olivares was very good at telling us all about the Honda Odyssey and showing us all the features. He showed us everything on the minivan from moving the seats to the safety features. The dealership also had a very comfortable, clean, and modern look. There is a nice playroom which came in handy for my 2 year old while we were in the process of test driving and purchasing the Honda Odyssey.